Otii is a developer tool designed by Qoitech that simplifies measurement and analysis of energy consumption, enabling energy optimization for long battery life of IoT devices and apps. The Otii solution includes a compact and portable measuring unit, the Otii Arc, and an easy-to-use, comprehensive desktop app for Ubuntu, Windows, and macOS. The Otii UI is intuitive and allows for real time analysis, making it easier to see what drains the device's battery. The Otii Arc acts both as a power supply to the tested IoT device and as a current and voltage measurement unit, allowing for a compact and easy-to-use setup for developers, anywhere in the stack. Passive Infrared Sensors Reviewing the function of PIR sensors followed by a closer look at the internal structure of the sensor. Otii Software Premium License – Excel in IoT Energy Optimization Qoitech's Otii software provides scripting and automation, battery profiling and simulation, importing debug logs, and continuous upgrades and improvements. 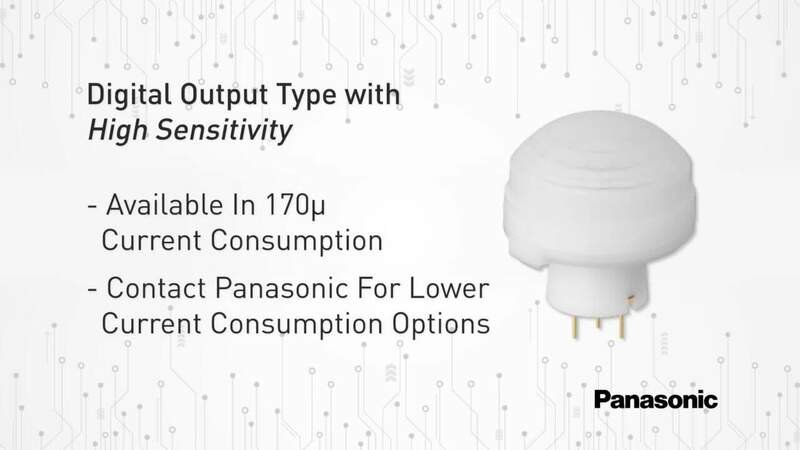 PIR Motion Sensors – Analog or Digital Output Panasonics' PIR Motion Sensors use Passive Infrared technology to detect movement. Level VI Efficient External Power Supplies XP Power offers a large portfolio of low cost, wall and desktop external power supplies that meet a number of new global energy efficiency standards. Increasing the Resolution of RF Imaging Higher-resolution RF imaging technologies as well as their advantages and drawbacks as compared to video techniques are discussed. Case Study: Characterizing a TI DC/DC Converter It is vital in IoT devices to have an efficient power management system to get as much energy as possible out from the battery.